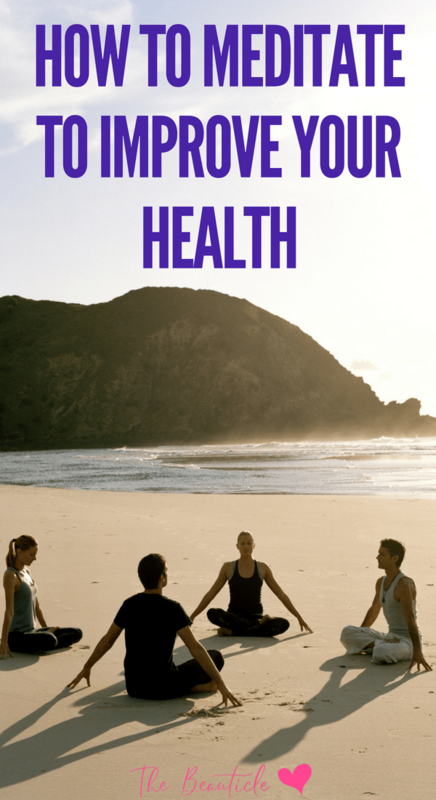 Did you know that meditation directly improves your health? This article outlines the health benefits of meditation. You will learn how to start a meditation practice to improve your health and well-being. There’s a lot of fog around the subject of meditation as not many people understand this spiritual practice. This article will help clear up any misconceptions on meditation by telling you how to meditate and why you should. You’ve likely heard about the health benefits of yoga in improving mental and physical health and improving flexibility, and you might assume that meditation is the same thing. Although meditation can certainly be incorporated into yoga, it is an entirely different practice. As a beginner, you should take a meditation class (or a yoga class that heavily emphasizes meditation) or watch videos that introduce you to the concept of meditation with the various techniques for facilitating the process. It is not as easy as you may think. Achieving a profound, deep sense of self, a “thoughtless alertness,” requires guidance at first. Here’s a quick and easy meditation technique for beginners to help you ease into this practice. Find a place where you can sit comfortably. It should be someplace where you will have as few distractions as possible. Distractions should be kept to a minimum when you are meditating since they can keep you from developing your focus and concentration. When you’ve chosen a place where you can do your meditation in comfort, you now need to choose a mantra. It can be any word that you feel can help you feel relaxed and calm. Try to go with words for your mantra that really appeal to you. It can be your own name, a short “I Am” affirmation, or even just the word “relax” as long as it helps you feel positive and be aware of your meditation. Instead of a mantra, you can also count your breaths or repeat “in” while breathing in and “out” while breathing out. This gives your mind something to focus on so it won’t wander off in thought. Once you’re sitting comfortably and have chosen a mantra, close your eyes and start repeating the mantra to yourself. Let the mantra do what it wishes. You may wish to repeat slowly, fast, quiet or loud, and are free to do so. There’s no right or wrong way to do this. Try not to let outside thoughts disturb you while you are doing this. Whenever you notice your mind wandering off on a thought, breath deeply, release the thought and begin again to repeat your mantra. As you repeat the mantra, be aware of what you are saying and focus on it. Remain relaxed and calm as you do this. The key to this simple meditation is trying not to let distractions come before you when you meditate. It can be a bit hard sometimes to do first, but it will develop along the way and will help you develop your focus and awareness better. After some time, stop repeating your mantra and remain quiet while you are still sitting comfortably. Do this for about a couple of minutes or so. Avoid getting up immediately after your meditation. This would be similar to jumping up just after having a deep sleep. It would cause a lot of stress in itself. Other than distractions, the other key to effectively make use of this beginner meditation technique is to do it as a habit. Try to allow time in your schedule for your meditation. Making it a habit improves your ability to keep thoughts at bay and deepen your practice. This meditation technique can be done in as little as 10 minutes though it’s best to try and work up to 15-20 minutes at a time. 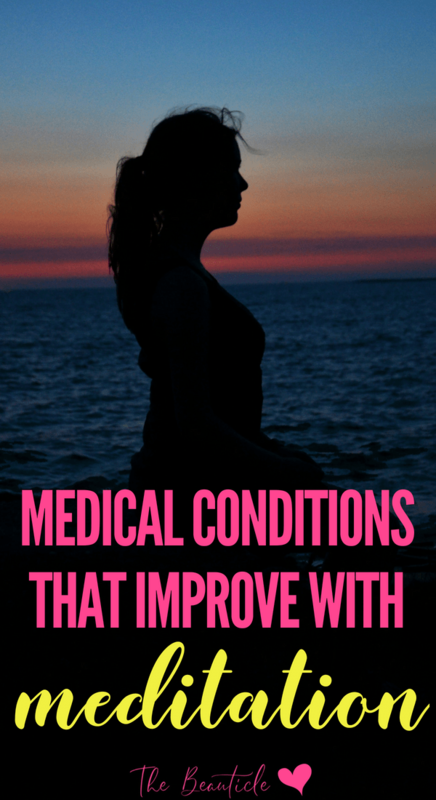 This is not a long time to spend on something that can provide you with lots of benefits especially when it comes to battling medical conditions and everyday stress. Not only is meditation one of the very best ways to reduce stress, which is linked to a whole host of health issues, but Harvard University researchers conducted a study that connects deep relaxation to genetic changes in the body. • Cardiovascular Quality and Outcomes, which is a journal of the American Heart Association, reported in their 2012 issue that 5-year study on patients who had coronary heart disease found a 48% reduction in deaths, heart attacks, and strokes in those subjects who regularly practised Transcendental Meditation versus those who did not. • An analysis of a controlled trial, published in the Journal of Alternative and Complementary Medicine on October 2013 reporte d significantly greater effect of Transcendental Meditation in reducing anxiety over conventional medical treatments and other forms of meditation and relaxation practices. • According to Behavioral Medicine, Volume 16, a 50% reduction in visits to HMP doctors was found when a relaxation-response based practice, like medita ti on is used. You may be able to find a class in your community specifically dedicated to meditation, but due to popular culture, it may be easier to find a yoga class that heavily focuses on meditation, such as Kundalini Yoga or Ananda Yoga. Many people prefer taking these classes long-term as opposed to meditating by themselves because the group setting helps them to better focus or because they enjoy the sense of community. Some meditation videos can be on YouTube, or you can order a professional DVD or online subscription. If you prefer a mix of yoga and meditation, the best types of yoga to focus on include Kundalini, Ananda, Jivamukti, and Integral. Research shows that just 20 minutes of consistent meditation sessions can have tremendous health benefits. Make time before your day starts or before you go to bed to meditate. Some people find that their minds are clearer at these times. Many people find that sitting in nature – under a tree, on top of a mountain, or in a quiet place in the sunshine – helps them to facilitate the meditation process. It’s also a great way to get outside for Vitamin D.
This is certainly the most difficult way to meditate because distractions at work can interrupt the process, but many people have been able to achieve a state of meditation while performing mundane job duties. Talk about being dedicated to the cause! It will certainly help you to manage stress at work. Everyone is different. Experiment with different ways of meditating too see what you like and what comes easiest for you. Also try experimenting at different times of the day and for different periods of time, but aim for at least 20 minutes to reap the most benefit. The health effects on your body are well worth the effort!